We enjoyed a lovely walk at The Highams Park and Epping Forest today. 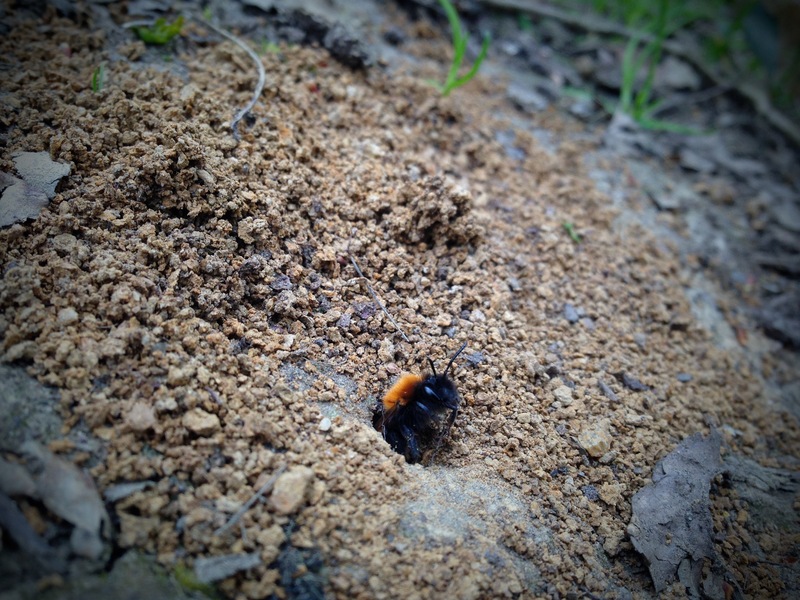 The sun was shining, birds were singing and we discovered a cluster of Tawny Mining Bees nest holes in the ground. The female bees excavate the holes, lay their eggs within and provide a cache of pollen for the developing larvae. Next spring these will emerge from the ground as the next generation of Tawny Mining Bees. Each female is solitary. The males emerge first in the spring, they wait for the females to emerge, mate with them and die soon afterwards. Is love in the air for the Robin?